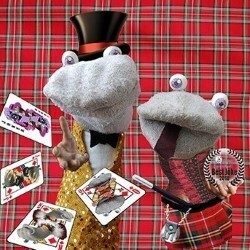 The award-winning* Socks are back with an hour of comedy, magic, variety and a bit on the sideshow (*Bath Comedy Festival Best Joke Award 2018). Experience the roar of the greasepaint and the smell of some socks in their 11th brand-new Edinburgh show. 'Had every single audience member... laughing until they cried' ***** (Edinburgh Evening News). 'I experienced streaming tears of laughter and almost fell off my chair clutching my aching sides' ***** (BroadwayBaby.com).